Breathtakingly beautiful, as only Liz Curtis Higgs can write. If you see Mine Is the Night at your local bookstore, quickly look beyond the fantastic cover (okay, admire the lovely detail and artistry of the cover) and THEN delve into an unbelievable world of God’s grace. 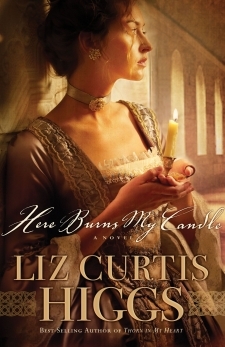 It is the long-awaited sequel to Liz Curtis Higgs’ novel Here Burns My Candle. Into the wilds of Scotland and the turbulence of the English Civil War comes a love story straight from the Bible. Stitched together with amazing characters, gripping suspense, and an engaging plot, Liz brings the beautiful love story of Ruth to the Highlands (or Lowlands) in magnificent detail. Widow Elizabeth Kerr and her mother-in-law, Marjory, are penniless and considered ‘traitors’ to King George because of their husbands’ Jacobite allegiances. Now seeking food and shelter, they return to Marjory’s hometown of Selkirk and throw themselves at the mercy of Marjory’s poor cousin, Anne. Marjory, who was once the astute and riche Lady Kerr, is now destitute and empty handed, except for the devotion of Elisabeth. Rejected by the people of the town because of her husband’s choices, and her own former pride, Marjory faces the bitterness in her heart with clear vision. Can God save her? Is He still with her? Elisabeth, a gifted seamstress, must find a way to stitch together a life for the three women. When news arrives of a wealthy Admiral moving to the neighborhood, Elisabeth offers her services to sew dresses for his maids. 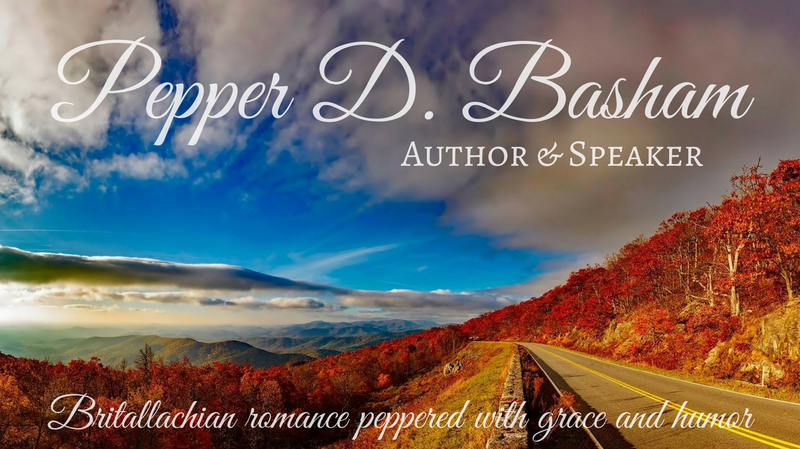 Admiral Jack Buchanan is everything Elisabeth’s husband was not: kind, faithful, generous, devoted to his faith – but what does a penniless, foreign widow have to offer a man who has everything? Is her heart even ready to trust itself to the carelessness of another man? Will Jack fall for a woman who has beauty, wealth, and the Crown’s favor? Get ready for a magnificent story about the mending of three women’s hearts, the compassion one amazing hero, and the faithfulness of a perfect Redeemer. 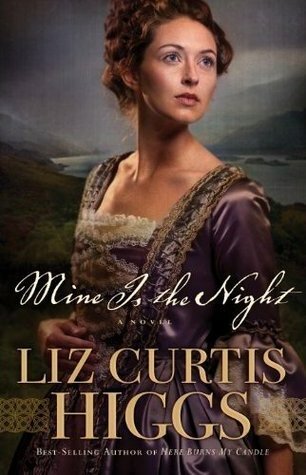 Mine is the Night is the heart’s desire of everyone who always wanted the story of Ruth to be 300 pages longer 🙂 The heartache, loss, and elegance are all there. The virtue, uncertainty, fear, bitterness, and beauty are all in place. Elisabeth is a true, godly heroine. Jack Buchanan is a rival for any Austen hero. With his generous heart, kindness, and (oh yes) even a sense of humor, he’s the perfect picture of Boaz. You may think you know the story of Ruth, but I can assure you, you’ve NEVER read it like this. Thank you, thank you, Liz- for taking your pen and inspiring the rest of us through this story. “move over Mr. Darcy” ????? Coming from you Pepper, that is quite a statement! Will look for this soon. thank you for the super recommendation! Hhhhmm, so you kinda like this story, huh? 🙂 I hope to get to read this one soon. Great review. We’re long overdue for a phone call, ya know! Wonderful review, Pepper (as always:)! I am only on about chapter 3 and am dying to return for all reasons you mentioned here. Since one of my favorite hero names is JACK, I have a feeling I’ll succumb to his charms in no time. Nobody writes like Liz! Bless you bunches! Thanks, Pepper. It’s funny how I’ve been directed to this author several times lately. Must try one of her books! It’s worth the purchase, Susan. I’ve learned a lot from the way she writes – her description and characterization. They are both so wonderful.